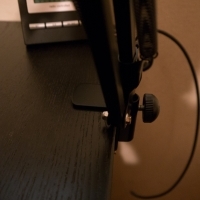 For a long time I was using my Logitech C920 as a microphone for voice chat during gaming sessions with my friends. 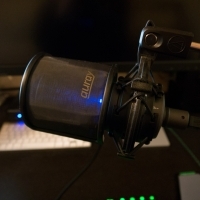 While the mic quality is decent, it unfortunately picks up a lot of background sounds and even sounds from another room. 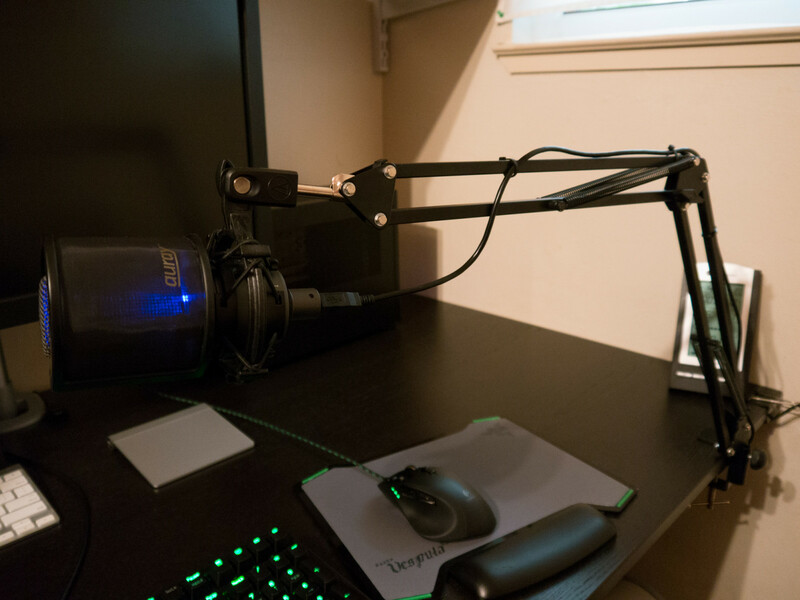 After watching a lot of Twitch streamers with microphones attached on stands/arms, I decided to try one for myself. Why not a Gaming headset? Because I’m using Beyerdynamic DT-990 600 ohm version on an Matrix M-Stage amplifier; switching between a pair of headphones for gaming/voice chat and another for everything else is just too cumbersome, not to mention the difference in sound quality. My research led me to choose between two microphones: Blue Microphones Yeti and Audio-Technica AT2020 USB. 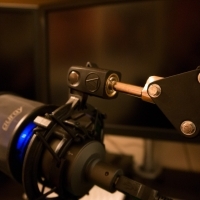 Ultimately I decided to go with the AT2020 USB since its smaller and lighter than the Yeti; less distraction in the peripheral vision and also I could get away with using a lower quality mic arm like the Neewer Microphone Suspension Boom Scissor Arm Stand. For approximately $15 USD, I can’t really complain about the quality of the stand. 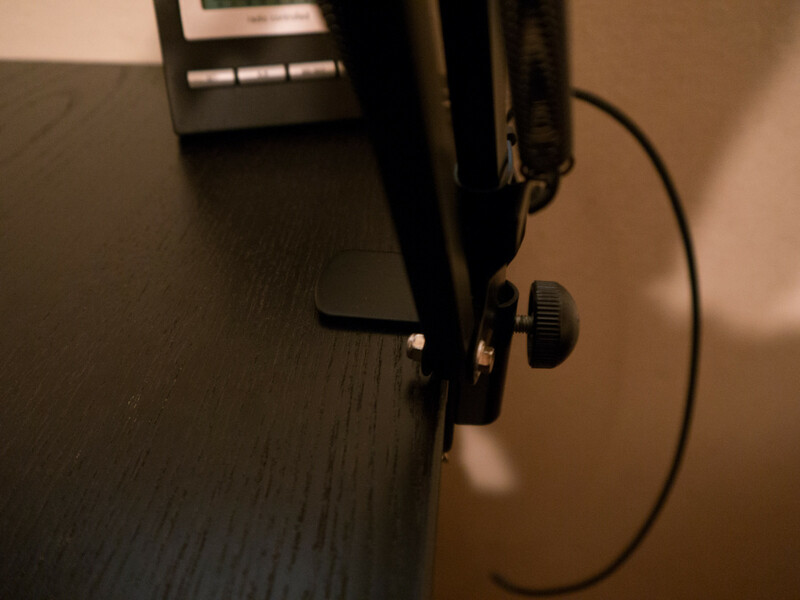 It holds the AT2020’s weight perfectly without any sag and is secured tightly to my desk via clamp. 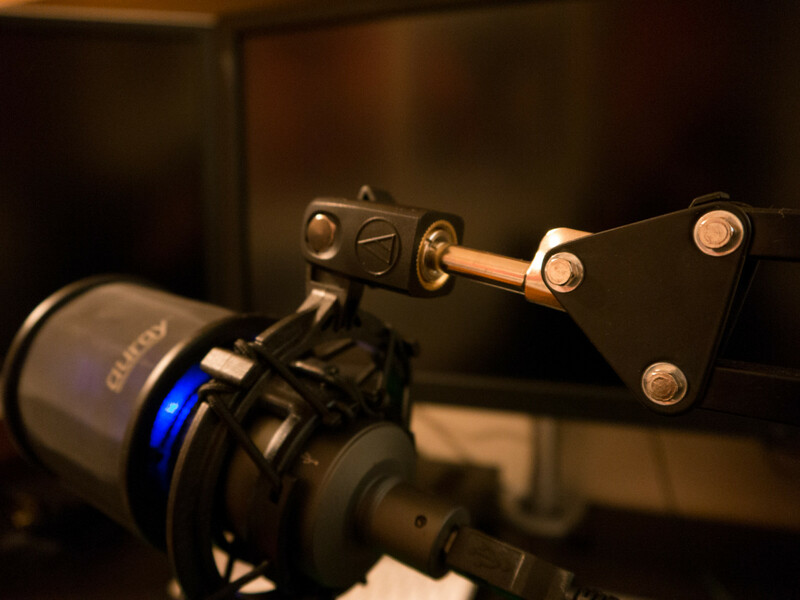 To attach the AT2020 to the Neewer stand I used Audio-Technica’s AT8458 Shock Mount and On-stage Screw Adapter. The Neewer comes with a plastic screw adapter which I found was too loose to hold the AT2020 in place; I used a piece of electrical tape wrapped around the screw threads to create a tighter fit until I found the On-stage adapter. 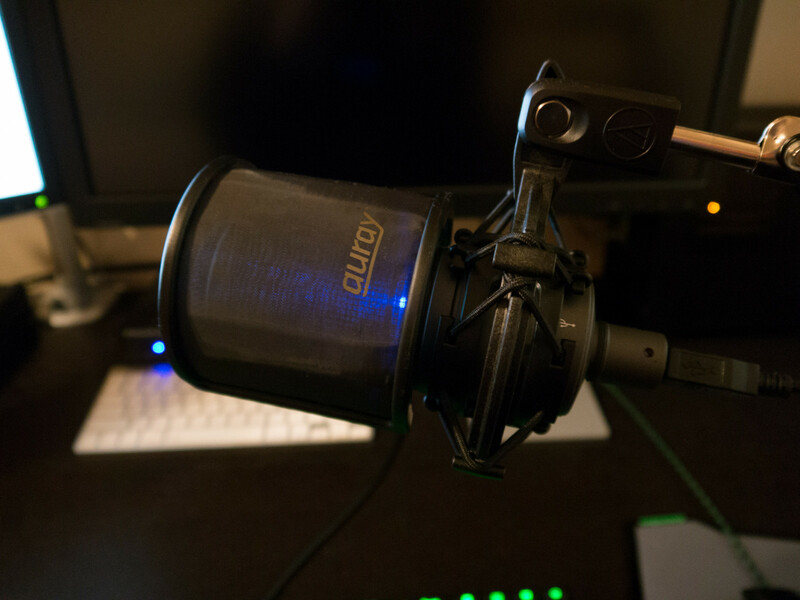 The shock mount grips the AT2020 firmly and leaves enough space to use a curved pop filter like the Auray OMPF-33. 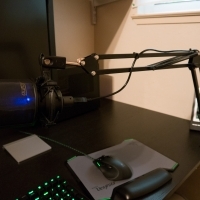 This setup is probably overkill for the occasional voice chat over Skype or Mumble but the sound quality is significantly greater than the C920’s microphone and picks up less background noises; you can find many videos on YouTube with example recordings of the AT2020.